While many of us out here are still waiting for Frank Ocean to drop his album, there's still plenty of music to sift through on this new music Friday. 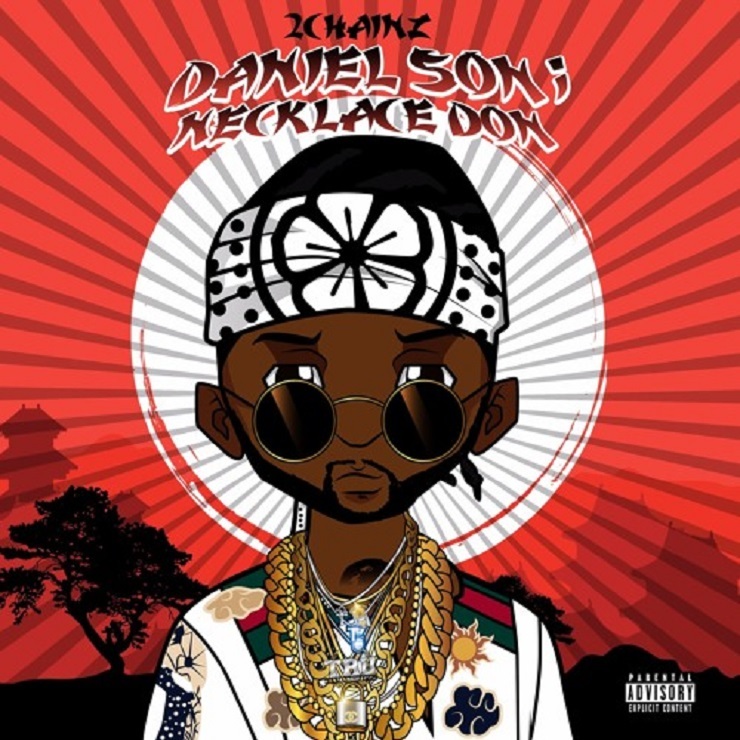 For instance, prolific rhymer 2 Chainz just put out a new mixtape under the tongue-twisting title Daniel Son; Necklace Don, and it's streaming right now. The 10-song collection begins with a questionable, Karate Kid-themed intro before Tity Boi brings the boom. In "Get Out the Bed," we learn that 2 Chainz is pretty motivated, even in his slump years, and that he tends to dress his salad with croutons and Codeine. "Ounces Back" and "Kilo" play up the drug talk, the latter including some smoked out sound effects and paranoid synth work. While "Yeezy Boot" off-handedly pays respect to Kanye's footwear, the big feature on the tape comes from Drake, who adds a few bars to the pan flute-piping "Big Amount." You can sample all of 2 Chainz's latest down below.